Preparing restorations has never been easier, or more convenient, than with the CAD-CAM. Now, a custom made tooth-colored inlay, onlay, crown or veneer can be designed and completed in only one appointment! CAD-CAM is also used for implant treatment planning by your prosthodontist. This is another modern marvel that your prosthodontist uses every day to provide predictable and lovely new smiles just for you. The digital dental x-ray system is more sensitive than dental x-ray film systems, so your exposure to x-rays is cut by as much as 90 percent. The large and color-enhanced images let you see what your dentist sees, so it’s easier for you to understand how your dentist will treat your teeth. Your dental checkups take less time, and it’s fun to watch this system work! Most patients are amazed. 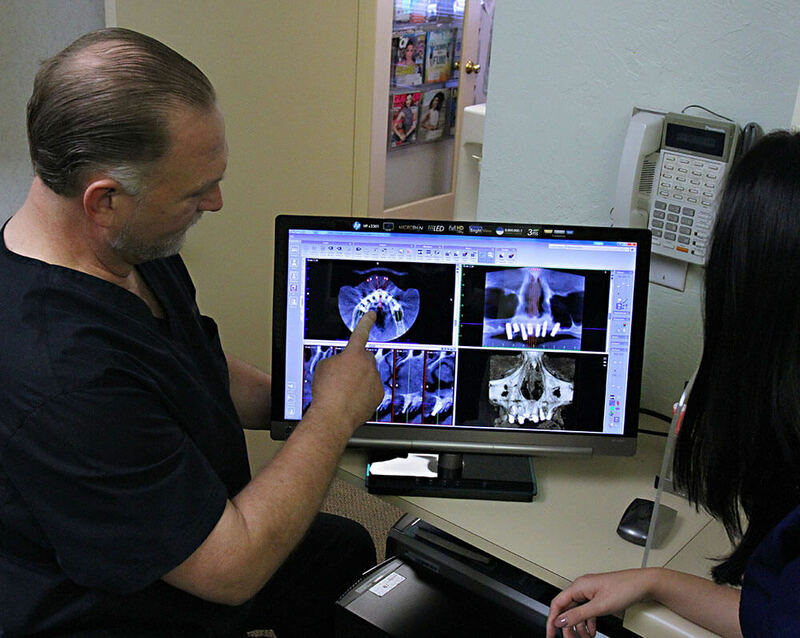 Panoramic x-rays offer patients a complete detailed image of the entire mouth including the teeth, jaw (upper and lower), sinuses and TMJ. They create a complete picture of how everything looks and relates to each other. Now you can see what we see! The Intraoral camera uses a small camera that allows us to show you your teeth, including close-ups of individual teeth. With the camera, you are able to make more informed decisions about your treatment. Sometimes, before Dr. Cooper can treat teeth for crown and bridge or implants, he has to straighten them first. Whenever possible, he uses the Invisalign® orthodontic system because it’s the invisible way to straighten crooked teeth without braces. Invisalign® uses clear aligners like those pictured on the right so teeth can be moved without the use of wires, braces and other metal appliances. Dr. Cooper makes a series of clear plastic aligners and you wear each one for about two weeks. As you move through the series, your teeth move little by little until they are positioned properly for any required treatment. They’re removable! You can eat and drink what you want while you’re wearing them, and brushing and flossing is easy. They’re comfortable! No wires or other metal to cause discomfort, plus you spend less time at the dentist’s getting adjustments. The Wand is a computer assisted delivery system for administering local anesthesia pain free! It uses less anesthesia than traditional techniques and makes your visit that much more comfortable and relaxing. Our patients love it! Lasers have had a big impact on the way we are able to treat our patients. Removing lesions, gum recontouring, and other gum surgery can be completed in less time, more accurately, with less pain and faster healing. Laser technology works very well with hard tissue (such as removing fillings and repairing cavities) as there is little tooth structure lost. And because there is little heat and no vibration, there is no need for anesthetic! Small, hard to find cavities can go undetected. Undetected cavities can actually penetrate the inside of your tooth which can lead to a root canal. Micro Dentistry is the use of special tools and techniques to find those areas of decay that would normally escape our attention. For example, a special dye that changes color when it is in areas of decay and air abrasion are just two techniques in the battle against cavities. The time that it can take an implant to heal completely can take anywhere from four to nine months. This instrument uses a computer-based design to test the implant. This device enables us to tell if healing has completed as expected and if the implant is ready for its custom abutment and implant crown or other prosthetics. A whiter, more brilliant smile is yours in only one sitting! A gel is applied to the teeth and a bright light, or laser, is used to activate the cleaning properties in the gel. You have to see it to believe it. 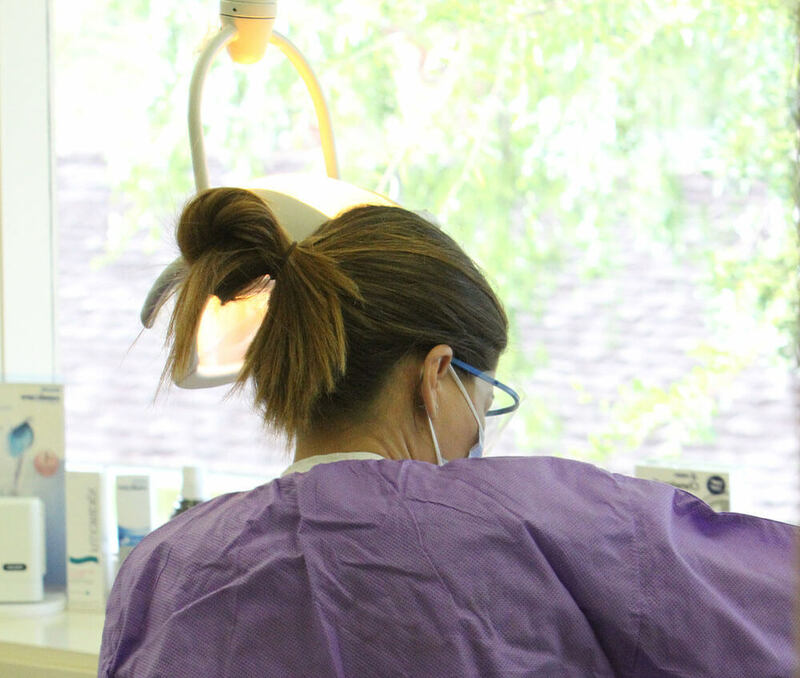 Once only found in a hospital setting, using platelet rich plasma has become a common practice in the dental office during outpatient procedures. Plasma, a byproduct in blood, contains platelets, which aid in the healing process. Concentrating platelets, such as those found in platelet rich plasma, help to speed the recovery process and has several benefits for patients undergoing oral surgery. Platelets are found in plasma, which is a byproduct in blood, and help aid in healing. They help in the blood clotting process and contain growth factors. Growth factors stimulate the growth of new tissues, helping the body to repair itself. More platelets means more growth stimulation, which leads to faster healing, which is where platelet rich plasma comes into play. Bone grafting: Bone grafting is used in many types of oral surgery. Dental implants may require grafting. Grafting is also used in closing cleft lips and palates as well as sinus lifts. Bone repair: This includes facial reconstruction surgery and fixing defects caused by tooth extractions. Fistula repair: Including the fistula between the mouth and the sinus cavity. Accelerated healing: The plasma is placed directly on the wound following the conclusion of your surgical procedure, stimulating the growth necessary for quick and proper healing. Lowered Risk for Infection: Because of faster healing, the wound closes quicker, thus sealing out any bacteria that could otherwise cause a severe infection. Safe: The process utilizes your own blood, so there is no risk of rejection or other blood related issues. Convenient: The process is completed in the office during outpatient procedures. Affordable: Harvesting only requires a small amount of blood that can be taken in the dental office rather than needed to harvest platelets in the hospital, and therefore costs less. Simple: The process is easy for the dental team to produce and use. When you go into the office for an outpatient procedure, a small amount of blood, now only 55 cc as compared to the one unit that used to be required, is drawn. The blood is placed in a centrifuge, which spins to separate the plasma from the blood. Next, the plasma is removed from the blood and placed in another centrifuge, which separates the platelets, concentrating them. Once your surgical procedure is completed, the platelet rich plasma is then applied to the wounds, allowing your body to start the healing process immediately. Once your procedure is complete, the dentist will give you care instructions specific to your procedure. After you have healed, it is important to maintain an oral hygiene routine that includes brushing at least twice a day, flossing and using mouthwash. 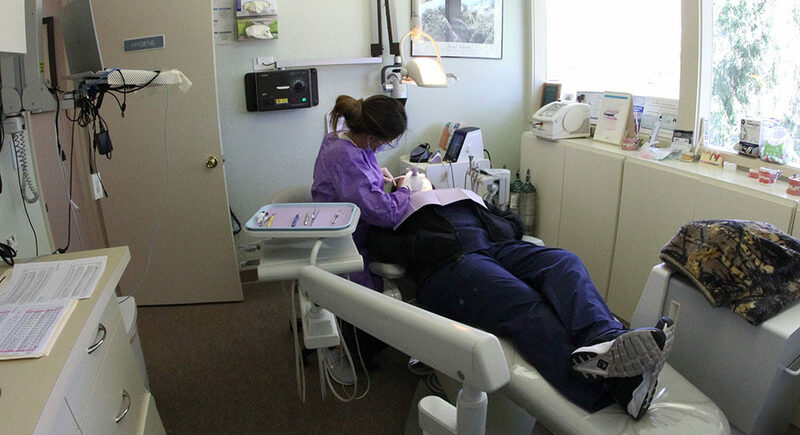 You should also visit the dental office at least twice a year for thorough cleanings and exams. This routine will help you keep your mouth healthy and prevent the need for future surgical procedures. If you are in need of a surgical procedure, be it dental implants or reconstructive surgery, Keith Cooper, DDS can provide you with expert care and platelet rich plasma, speeding your recovery time and allowing you to enjoy your new smile that much faster. Call today at (408) 253-4150 to schedule your appointment.